This heron was presiding over some East River crab pots near Williams Wharf on Thursday morning. He was not far from where I parked my car to run four slow miles. During that run, I chastised myself repeatedly for accomplishing only one or two of a mile-long list of things that were to have been done on my days off this week. My son graduates high school in two weeks. There are lots of emotions swirling about that major milestone alone. Next week Busy Season begins at work, and I'll be putting in more hours. The doctor says my blood pressure is high, and I am also Vitamin B-12 deficient (among other things, one of which requires a nerve test at the end of June. Joy!). Daughter is still in the throes of sports and has a soccer game tonight in West Point, which I'll attend after work. Wearily. Cow bell dragging behind me, kicking up dust. And, I just got the first email regarding the upcoming fall cross country season, which Daughter eagerly anticipates. There is a meeting Monday night in the high school cafeteria for runners and very exhausted parents. After spending most of the week "off" from work--doing yard work and other not-so-small feats of hard, physical labor--I'm still wondering if things will ever slow down or get caught up. More importantly I wonder why I thought they ever would. For now, I am just trying to keep everything in perspective and be grateful for all the good. Because there is a lot of good. I'm just tired. This weekend won't necessarily be restful, but it most definitely should be enjoyable. My friend Glenda turns 50, and her celebration takes place Saturday on New Point island. Hopefully there will be pictures and, no doubt, a story or two. The weather this past weekend was nothing short of perfect. who drove all the way from Pennsylvania just to take me to dinner on Saturday. That's just how nice and thoughtful he is. This sailboat was quietly soaking in the beauty of the blue skies and the slowly setting sun. *Some of the necessary chores on Saturday included weeding the beds in the back of my house, where I perhaps naively intend to plant some tomatoes, peppers and cilantro this week on my "days off" from work. Hoping to multitask and catch some rays while weeding, I donned a two-piece bathing suit, cranked up the iPod for musical motivation, and focused intently on the waist-high weeds in the heat of the late morning sun. Memorial Day weekend is a very busy one on Queens Creek. If the neighbors aren't lounging on (or diving off) their docks, the boaters are busy pulling gleeful tubers and boarders at wide-open speeds or trolling for fish. Or just cruising along admiring the scenery. Sometimes that scenery can be frightening one-of-a-kind. In between mopping the sweat from my brow and fending off ants and other creepy crawlies while laboriously plucking weeds in the gradually overbearing heat, secretly seething inside that all these other people were out enjoying the very creek I only admire from my yard--on a holiday weekend no less--I noticed peripherally that a boat was slowly approaching my shoreline. Oh please don't let this be someone I know, I thought. I was covered in dirt, sweating profusely, and wearing a two-piece bathing suit as if I ought to be even though I shouldn't be--a combination in very clear violation of Rule #2 in the You're Almost 50 Even If You Feel 18 So Just Stop It Now-- Please! book. It's a book I've been writing in my mind for a while now, with an entire chapter devoted to this bathing suit thing. There is lots of back and forth between surrendering to the skirted two-piece (which is really a one-piece--with a skirt!) vs. forcing an older body into a two-piece clearly designed for someone who hasn't eaten anything except air for 49 years. I was in a bathing suit I would never wear in public, pulling weeds on a hot, sweaty day with very little good to focus on except the music which happened to turn to a song I love. With a great beat. Breaking into a spontaneous dance, weeds held high like pompoms, I completely forgot about the boat that just a few short minutes earlier was hugging my shoreline. They saw my spontaneous, motivational, refocusing-on-weeding dance in a bathing suit that only the ants and creepy crawlies were supposed to see. Weed pompoms and all. The reason I know they saw is because when I went indoors to get some water, I sat down for a break and happened to check Facebook. Although there thankfully was no photographic evidence, there was a quick line written on my wall, "Come weed my flower bed next," from friend Thomas Hunley. Who saw the whole thing from his boat which was hugging the shoreline on Memorial Day weekend. Life in a small town in the age of modern technology. I am eternally grateful that the ants and creepy crawlies do not have Facebook access or cameras on their cell phones. Note to self: Get a new bathing suit and think long and hard about any future attempts at yard work during one of the busiest boating weekends of the year. Especially with dance music playing in the background. Thanks in advance. From everyone. Memorial Day weekend is one of my favorites. The end of the brutal school and sports year is just around the corner. The weather is usually warm. There's no work on Monday. And summer is just a hop, skip and a jump away. A few years back when I had a deadline for my book, I took Memorial Day week off to focus on finishing up. Ever since, I've used this week to take a break from work and all the rushing around and to (hopefully) get caught up on housework. Next week I have to work on Friday but intend to spend the rest of my time sleeping working on the yard and house, which have been sorely neglected for some time now. When Son and Daughter were younger, we usually spent Memorial Day weekend camping over on the Eastern Shore, from a place that had the most beautiful sunsets. I loved camping there, even if it was a lot of work. These pictures, which I've posted before, are from one of those camping trips. This dirt lane lives down Redart. At the end of the dirt lane lives a dock and an overturned boat. And on this particular day right next to the boat stood a rather befuddled-looking buzzard. I say he looked befuddled because usually these creatures are loitering in larger groups, bickering over something sizable and dead, focused on eating and boxing out any competition (which also eerily sounds like our 2011 family Thanksgiving at the Golden Corral buffet, but I digress). Not so on this particular day, at least not from my vantage point. He appeared to be solo, quietly enjoying the peace and solitude. Perhaps he was just taking a break from all his buzzard-ing. Also, here's a news flash. This may not technically be a buzzard, but I am too tired and lack the time to research this buzzard vulture thing. One of my four three two readers can chime in on the technically correct term if they see fit. The word buzzard has always made me sort of smile, for reasons I can't really articulate and don't have the time to analyze--although I could if pressed. There is, however, a story in particular I now think of whenever I hear the word. About eight years ago, I was on vacation with a man ten years my senior. We stopped at a place called Sting-Ray's over near Cape Charles on the Eastern Shore to purchase some gas and wine. He took care of the gas while I perused the wine options. He met me at the counter as the younger female cashier asked to see my ID. Naturally I was thrilled to provide proof that I was not just 21, but, in fact, over 40. She took my driver's license, studied it, glanced at me, glanced back at the license, handed it back to me and without a word began ringing up the purchase, satisfied. My companion, ever the wiseacre, asked, "Don't you want to see my ID?" Without even looking up from her task of bagging the wine, without a change whatsoever in her countenance, the cashier said, "Nobody needs to see your ID, you old buzzard." This concludes my story of why cashiers buzzards make me laugh. Click here to see what Sting-Ray's is all about, although they fail to highlight the very astute employees in charge of putting old buzzards in their place the cash registers. Here on Waverly Lane, you never know what you're going to see next, and one evening about two weeks ago, I happened to notice that my shoreline was ablaze. While most people might be startled at such a sight, my worn-down nerves knew that this was not necessarily an emergency. Daughter and I calmly sprinted walked out the back door to take a closer look at the situation. Daughter shared the joyous occasion with friends via iPhone, no doubt with a comment like, "Oh, nothing, just finished up some supper and am now watching the blazing inferno that is my back yard." You can't get this type of entertainment in the city--that's the lesson here, Daughter. My father intentionally sets the shoreline afire every so often, for reasons that used to make sense but which now escape me. He takes a rake and delicately lifts burning brush onto the dead marsh grass. The fire usually stops where the green foliage begins (due to the moisture). Although he's in good shape for his age, he gets winded easily, and, let's face it. He's not as agile and spry as he used to be. So I always worry. But this time, thankfully, he came out unscathed. The fire went out in a hurry on its own, and we quickly returned to normal, frazzled nerves and all. Things were normal for only a little while though. Late last week as I was approaching Waverly Lane on my way home from work, I came face to face with the inevitable: the tilling of the daffodil field in preparation for the corn crop. The daffodil field full of bulbs way older than I am (and I'm no spring chicken either) was being changed forever. Goodbye, daffodils. I will miss you terribly. Hello corn. Click here for a 2011 post referencing Royal Colony Farm, the daffodil business my grandfather operated. Click here for the 2012 version of Let's Have Fun Intentionally Setting Fires in One's Yard. This heron was perched in a pine tree near Smither's Cemetery, across the creek from my house, a couple of weekends ago. I happened to catch a glimpse of him as he was soaking in the last rays of the day's sun. These were taken a few weeks ago down Redart. I try to make it down there three or four times a year just to check on these boats and the docks to which they're moored. They were all doing just fine. Just fine is not exactly how I'd describe my temperament last evening, though. My workdays begin early and are exacerbated by a 100-mile round-trip commute in a car with 182,000 miles on it. I get up at 5:30, leave the house by 6:15 and sit behind the wheel of a car I hope can last for a solid hour of driving before arriving at work at 7:30, where I sit at a desk in a tiny office staring at an even tinier computer screen. Then I return behind the wheel of a car I hope can last just one more hour to get home. When sporting events are added to that, the days, the miles, the sitting, the hoping, the worrying, the wondering, the not only is my son leaving for college but how will I pay for it moments, and the hours far from home where things need tending to are even longer. So let's just say Monday was a very long day due to work and my daughter's soccer game. By the time Tuesday morning rolled around, it felt as if I'd been hit by a Mack truck it were already Friday. No matter what day I felt it should be, it was still only Tuesday morning, way too early. The very long story short is Tuesday night when I arrived home from yet another brutally long day, wondering when my car is finally going to conk out from all the miles, to see the very same grass I had cut three days ago high enough for more cutting, and the very same ants I'd tamed on the kitchen counter swarming again, and the very same dirt and dust I'd swept the day before piled even higher on the floor, and the dog and cats begging for attention, and Son (who is leaving the nest soon and whose college tuition I have to figure out how to pay for) and Daughter (who will be leaving in a couple of years herself for another college I have to figure out how to pay for) simultaneously needing dinner....well. I walked into the house and unbeknownst to me, the emotional whirlwind of exhaustion + fear + how am I ever going to do all this by myself created a spontaneous eruption of tears that couldn't be stopped no matter how hard I tried. Later, when I explained to Son and Daughter that too many things were converging at once and that I was absolutely fine, just a little overwhelmed, Daughter hugged me and said, "We deserve to be a little crazy sometimes." Crazy wasn't exactly what I was going for, but I so appreciate the empathy. And based on how hard we run during the school year, she's right. We do deserve it. Son went out and cut the very grass I was worried about after helping me season the lackluster spaghetti sauce I was attempting to toss on the table as a token dinner, in between sniffles. After all that, everything is back to status woe quo here at Casa de CBW. The ants are on the counter, and the Son is still leaving the nest bills still have to be paid, somehow. But for now, all is good. 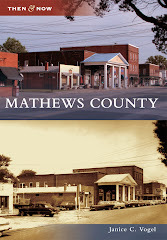 Here are a few shots taken about a week ago from Mathews Court House. This weekend was rather uneventful, which is not a bad thing, although Friday was very full. After a long day at work in Williamsburg, I drove to King William for Daughter's soccer game, which they unfortunately lost. I was so exhausted by the time we finally arrived home that I slept through a fox incident that occurred just outside my bedroom. Saturday I did some yard work. Saturday evening, after a brief but ferocious storm blew through, Baby Sis joined us for our neighbor's retirement party, which was a blast. Mother's Day Sunday was very calm and very quiet; I slept all day took several naps and watched my favorite movie Pride and Prejudice (the BBC version). My mother fixed us all a delicious dinner of ginger-coated salmon and one of her world-famous salads. So, that's it. A fox, a storm, a visit from Baby Sis, a party, some napping and a great meal. Not a bad weekend. And now that I think about it, not so uneventful either. Now it's back to work, where unfortunately they do not condone napping. Darn it. when I happened to glance eastward as I was getting dressed for work. The entire scene changed within what seemed like seconds. This last one looks nothing like it did in real life. One of these days I'll take that photography class I've been meaning to take. But it's amazing how things work. If I hadn't glanced for no reason at that particular moment, I'd have missed the few moments the sun was saying hello. A similar event happened to me Thursday night. It all started Wednesday night, actually, at Daughter Maria's soccer game against West Point. I took my perch high in the stands as I always do to better absorb all the sights around me, including the game. One person leaning against the fence on the sidelines caught my attention. For the life of me I cannot explain why I was staring at him. He looked like another Mathews parent except I knew it was someone different. The whole first half of the soccer game passed by without event. Then, for no particular reason at all, the pieces of the puzzle fell in place. I recognized this individual from my years at UVA. His name was P. Diggs, from West Point, and I met him at a fraternity party at UVA. We clicked because in those days before internet and social media, it was unusual to randomly meet someone from a small town in your area. So that mystery had been solved; staring could now cease. There he was along the sidelines, all these years later, at Mathews High school of all places, cheering on his son who plays soccer for West Point. Fast forward to Thursday evening. At the dinner table my son Sam announces that he needs three pictures of himself (baby, toddler and middle school) for the impending graduation ceremony in June. "When do you need them by?" I asked. Naturally, his response was, "Tomorrow." Rifling through boxes and boxes of old photos buried away in my closet, I happened upon a letter my mother's mother--my favorite grandmother--wrote me when I was in college. Saturday I walked to the Safeway store and got this tablet so I could write you a letter. I could hardly get back as I was so stiff. I don't know whether it's old age or a little bit of everything. I hope you are eating well. Don't eat too much spaghetti as you will get fat. Did you see the West Point Diggs? Be sure you don't go on any wild parties. You will be home in four more weeks. Middle Sis and Baby Sis have been playing basketball. Winning games. The weather has been bad this week. I haven't been out very much, so I am waiting to see some sun. Write and tell me what you have been doing this week as this is the only news I get. There is one more piece of information I need to share before I attempt to tie all this seemingly random information together into one less-than-random package. Thursday morning--after the soccer game where I saw "the West Point Diggs" mentioned to and by my grandmother more than 30 years earlier--I made a last-ditch effort to transplant one more batch of daffodils from a section of the field that my mother says came from this same grandmother in Gloucester. Wednesday I randomly see someone from college, 30 years later at a soccer game at Mathews High School, where the chances of me running into someone from college are nigh on nonexistent. I spend most of Thursday morning transplanting my favorite grandmother's daffodil bulbs to my yard. Thursday night, my son drops a bomb at the supper table that he needs three photos of himself from childhood, and I race to the closet and start digging. One of the first things I (randomly?) see is a letter from that same grandmother--who asks about the very same fellow I happened to see the night before at a soccer game. When I read the letter, I burst into tears. The combination of having spent the morning moving bulbs originally from her property to finding a letter written in her own handwriting talking about the same person she and I chatted about all those years before just hit me like a tidal wave. None of this may make sense to anyone else, but it makes some sense to me. That grandmother and I always had a special connection. Perhaps this sequence of events was all coincidence. Perhaps it wasn't. Perhaps Chesapeake Bay Woman is finally losing it. Perhaps she's fortunate enough to have made a connection, however briefly, with a grandmother she adored. Either way, one of the greatest gifts I could receive this Mother's Day weekend is that of reading her words in her handwriting to me. p.s. I love you too, Nanny. And I miss you very much. Also, I took your advice and don't eat a lot of spaghetti. But I do eat too many chips with salsa. Oh, and I did attend a few parties in college, only one or five of which could be categorized as wild. The wildest thing I do now, you'd be happy to know, is jump up and down at basketball and soccer games cheering on your great-granddaughter. Now with a cowbell, which just arrived in the mail yesterday, much to your great-granddaughter's chagrin. Happy Mother's Day to everyone--including and especially my own wonderful mother who is also called Nanny by my son and daughter. This house lives in Redart. I drove down there the other day on my way home from running errands. The gorgeous green grass drew my attention as much as anything. But it's a cute old house. It reminds me a little of this house (click for the link) down Hallieford except the door is situated differently. I'm just glad we seem to be past the worst of the cold, dreary winter and green is finally taking over. In fact, green is also taking over my house. I just cut my front yard on Saturday, and as of Tuesday evening it needs cutting again. All my shrubs need to be pruned, and every inch of space around my house needs weeding--even after I spent the better part of Saturday pulling and hauling stuff away. I swear it's a full-time job just trying to keep up with the maintenance of my yard let alone the house, let alone anything or anyone else, myself included. Anyway, for now I'll choose to focus on the beauty of the green, which I'll take any day over the dark, gray doldrums of winter.